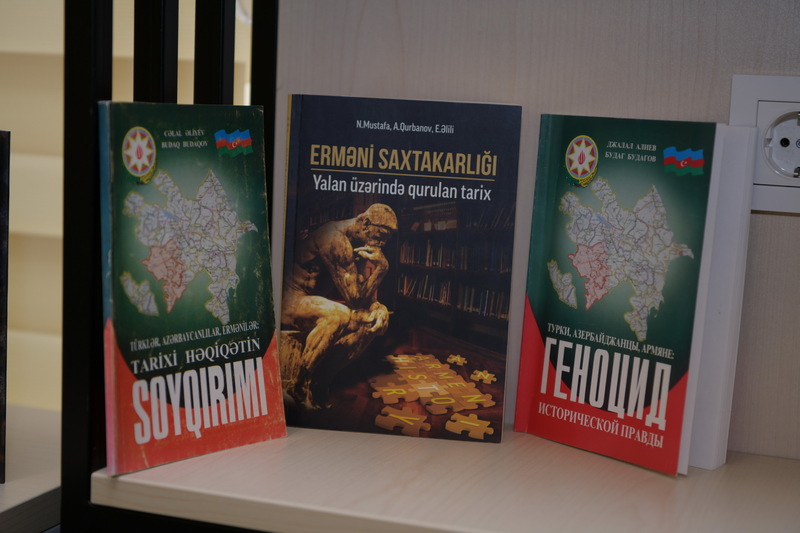 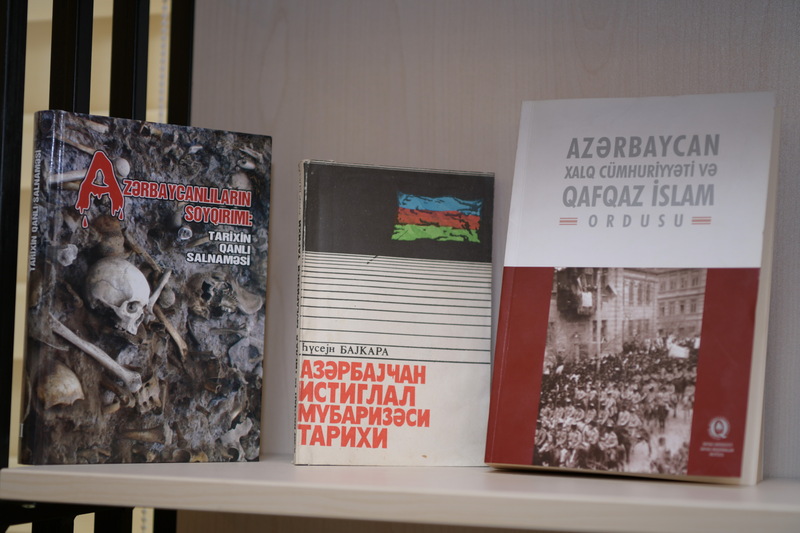 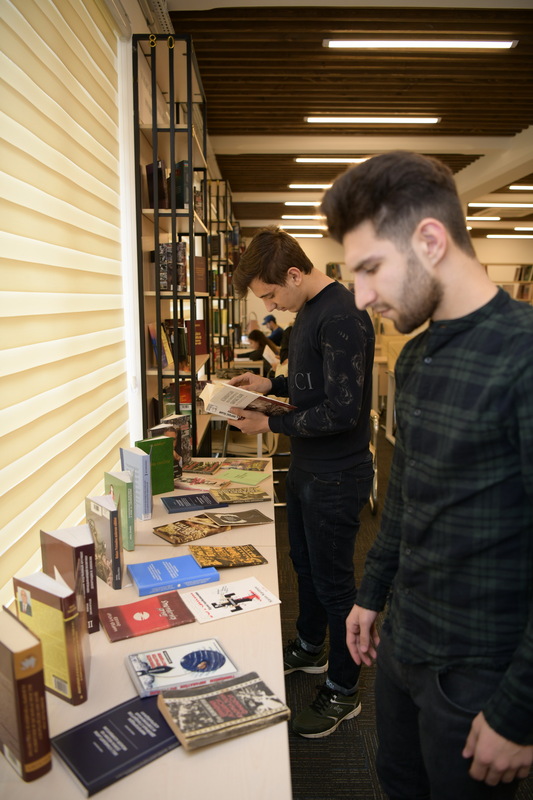 On March 29, the book exhibition dedicated to the March 31- the Day of Genocide of Azerbaijanis was organized in AzII E-Book House. 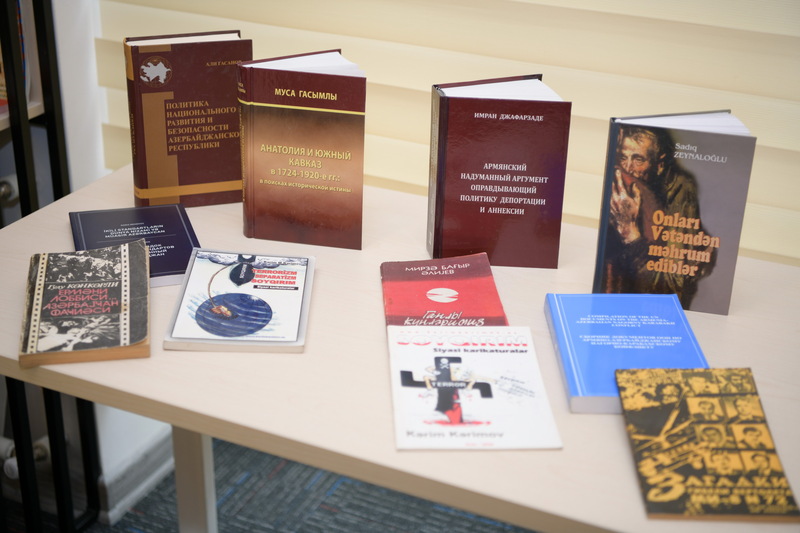 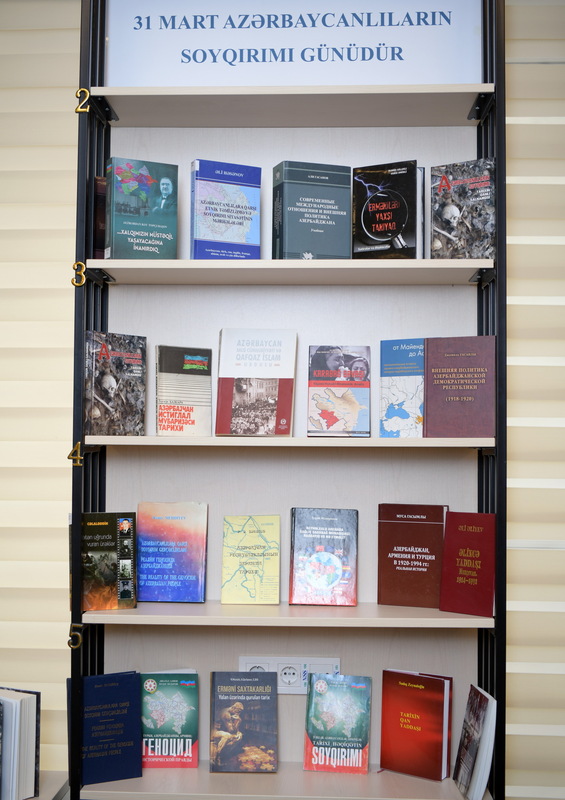 The exhibition was demonstrated books, newspapers, magazines and articles on the crimes committed by Armenians in the Azerbaijani lands and the genocide of Azerbaijanis. 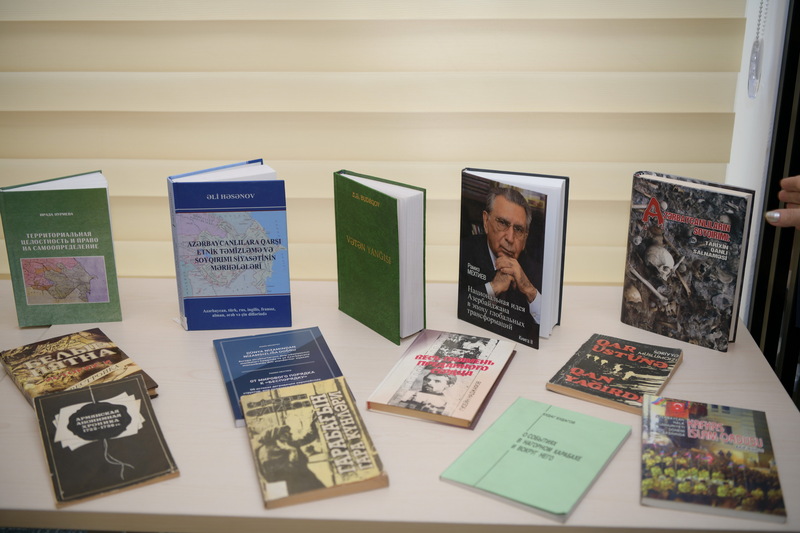 The books presented in the exhibition were "The genocide of the Azerbaijanis- Bloody chronicle of history", "Bloody Years" by M. Said Ordubadi, "Ethnic Cleansing and Genocide Policy against Azerbaijanis" by Ali Hasanov, "Turks, Azerbaijanis and Armenians: genocide of historical truth" by Jalal Aliyev and academician Budag Budagov.